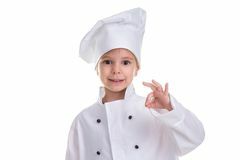 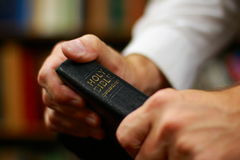 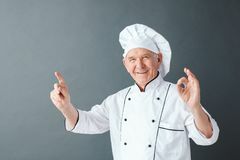 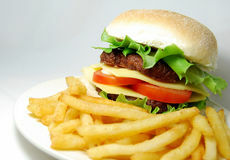 Chef. 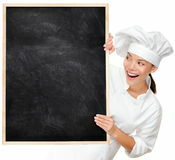 Woman cook showing empty menu chalkboard with copy space. 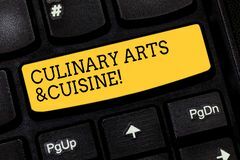 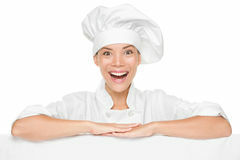 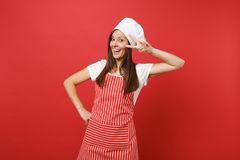 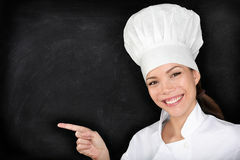 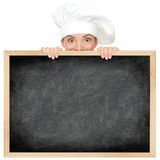 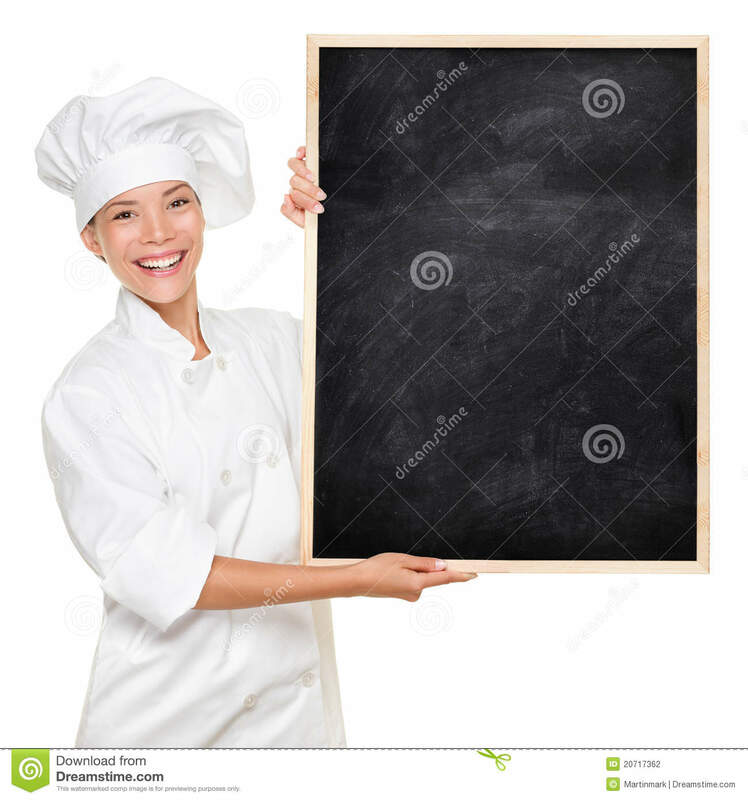 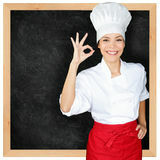 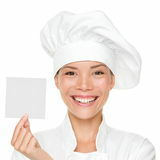 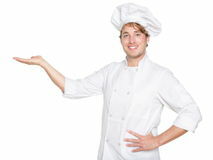 Happy smiling Asian Caucasian female chef isolated on white background holding nice textured blackboard for advertising.